​2. 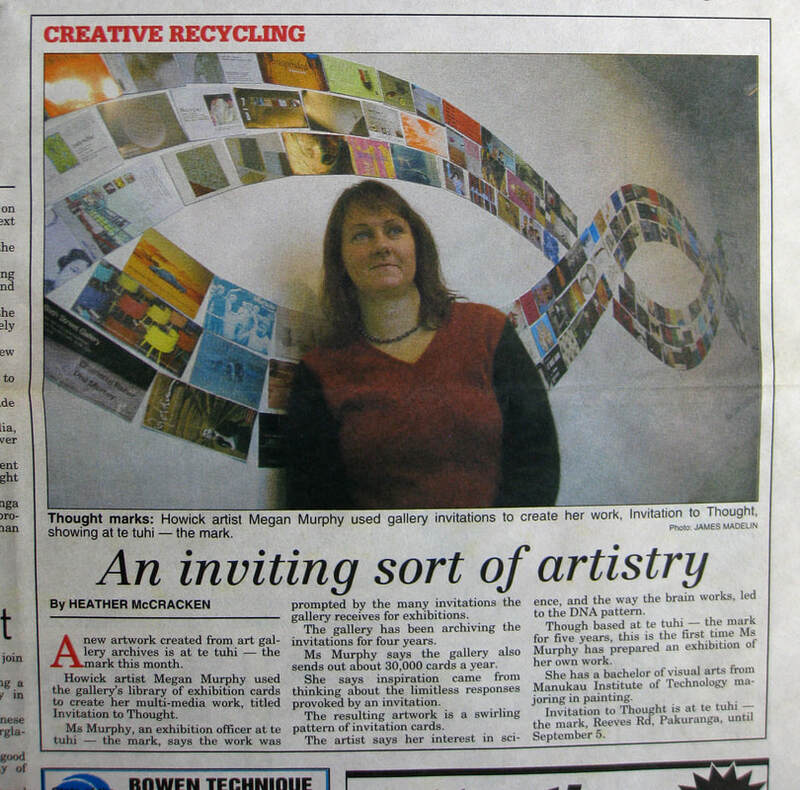 'Invitation to Thought' with Megan Murphy standing in front of the work. ​3 - 6. Wider views of the work - Invitation to Thought. ​7 - 24. Detail images of parts of the work. ​image 25 and her husband Lee Umbers in the centre of image 26 in blue. 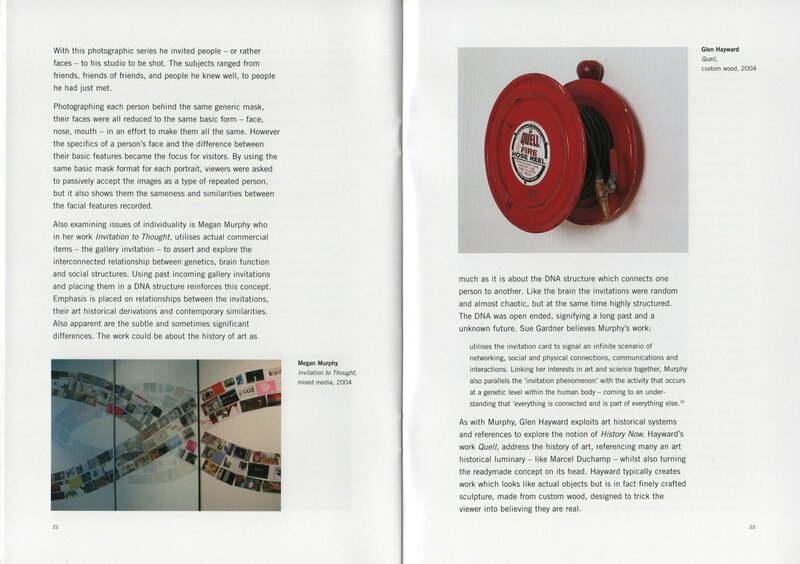 Invitation to Thought Exhibition Catalogue written by Sue Gardiner. 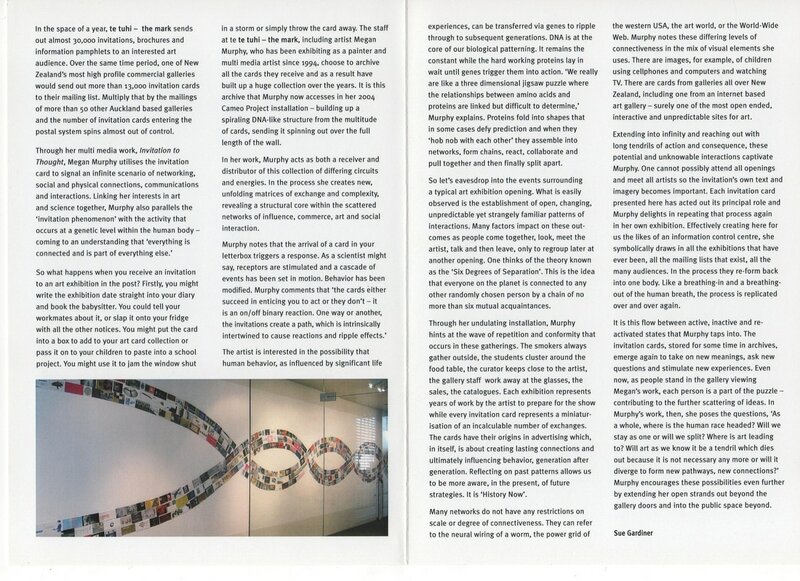 Passage in the 'History Now' catalogue referencing 'Invitation to Thought'. Eastern Courier Article - August 6th, 2004.